Which roofing material do you like? The market offers a myriad choice when it comes to roofing materials. Many homeowners decide based on their tastes and the material’s cost and longevity. But apart from the durability and budget, people should also consider the roof’s colour, protective properties, suitability to climate, availability, and if it’s fit for the shape of roof you’re planning to build. Need a closer look at the popular roof materials used in Australia? Keep reading to find out what’s best for your construction project. 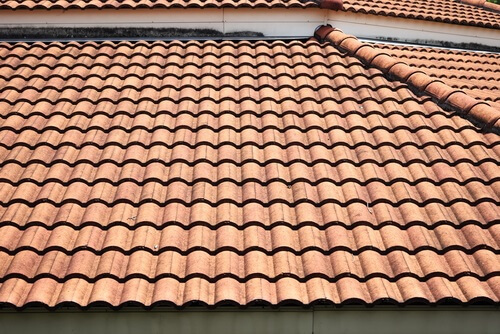 Used as early as the 19th century in Australia, terracotta roof tiles are considered a classic roofing material. These clay-based ceramic tiles come in lots of stunning forms, figures, and colours particularly in brick red-orange and in metallic dark shades. It also complements a wide range of architectural styles and specifications. That being said, this kind of roof tile is the most flexible choice for homeowners. Concrete is a resilient building material. Architects and builders are using it to top your homes too! Like terracotta tiles, concrete roofing fits all architectural styles and specifications. Using it will also heighten your home’s sound insulation, make it fire-resistant, and potentially disaster-proof. You should know that concrete roof tiles lose its colour as it ages. It will look old but it won’t affect its protective properties. Slate is natural looking, polished, and refined, perfect for topping contemporary and modern homes. Aesthetically speaking, slate tiles will give you prestigious exteriors. In case you don’t know it yet, slate roofing can increase your home’s resale value in the future. Slate tiles also have a high thermal mass, meaning it absorbs heat from the sun and releases it at night. It has good heat and noise insulating property as well. 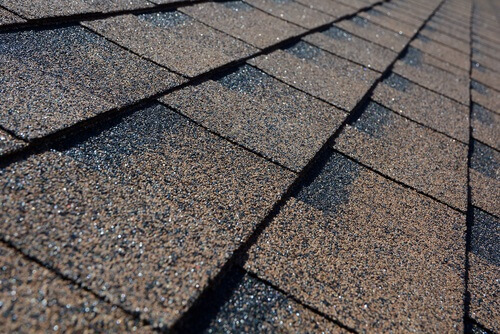 Roof shingles are thinner and flatter compared to regular roof tiles. The units are manufactured individually and installed in an overlapping pattern to keep the moisture from seeping through the roof. There are multiple varieties of roof shingles. 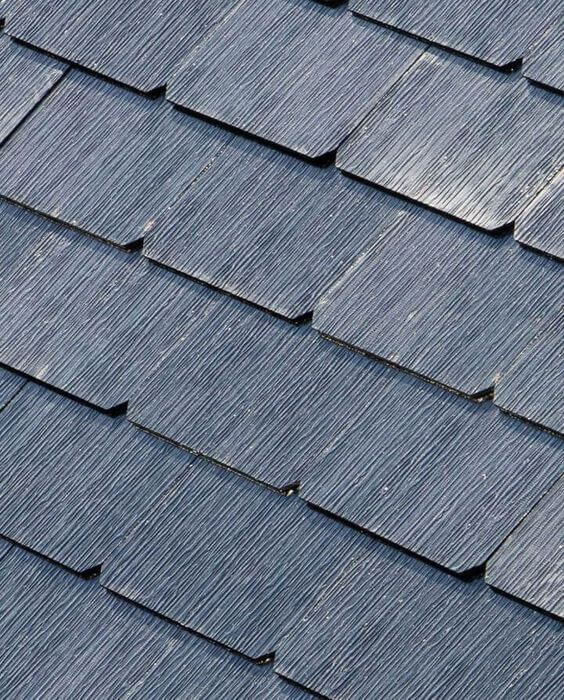 Our favourites would be asphalt (disaster-proof, meaning it can resist fire, rain, hail, and strong winds), slate (highly durable and can survive the freezing months), and wood (weatherproof and insulating). We’re not always a fan of using wood shingles unless we’re working with lumber that is highly resistant to decay, fire, and termites. Do you have an irregular roof structure? 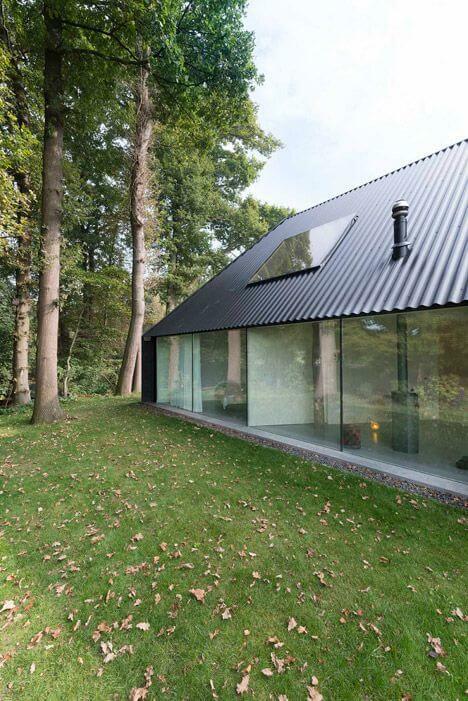 Do you fancy metal roofing materials? 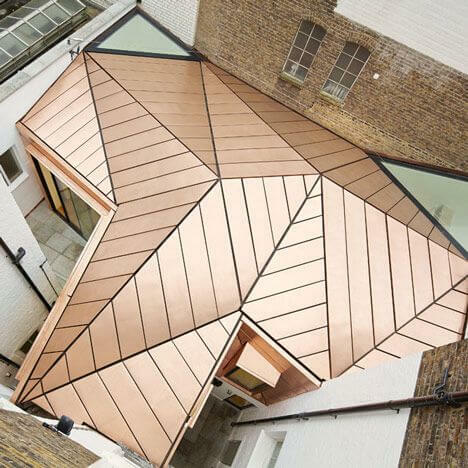 If you do, then a copper roof should be on your list. 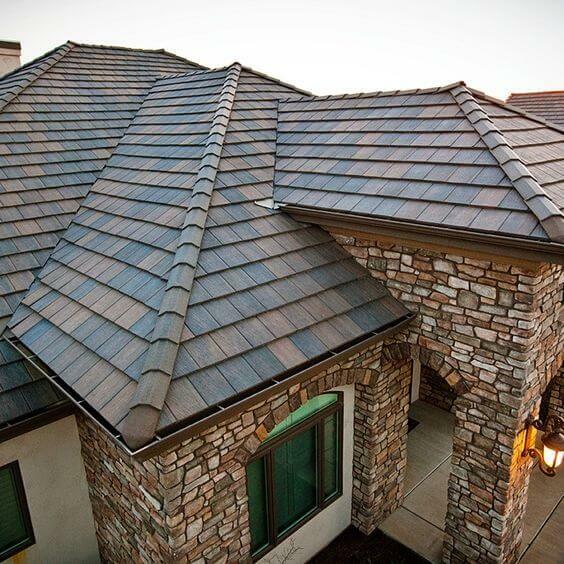 Copper roofing is timeless and durable mainly because of the metal’s long lifecycle. It ages with character! You will enjoy the lustrous and warm bronze colour of copper during its early years before it develops a beautiful green patina. Industry-grade and cost-efficient, corrugated metal is the most popular roofing material in Australia. It’s applicable to many different architectural styles! It has a wavy pattern which makes this lightweight metal sheet stronger than it looks. More importantly, this roof material requires little maintenance. 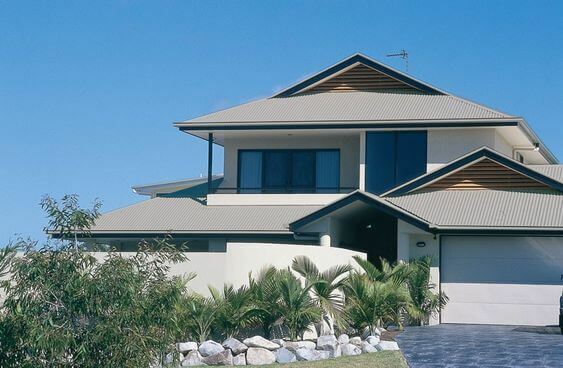 There are two kinds of steel roofing that is popular in Australia and New Zealand — Zincalume and Colorbond steel. Both of these roof materials will give you a clean, weather-resistant, non-combustible, and aesthetically pleasing roof that you will love. Ordered pre-painted, Colorbond steel resists corrosion and eliminates regular roof painting. This material is flexible and lightweight. It has a high thermal efficiency, meaning it absorbs less heat and cools immediately. On the other hand, Zincalume steel has a shiny surface that’s similar to Aluminium. It’s more affordable than Colorbond and it can last longer than regular corrugated steel. We’re all familiar with timber batten claddings that acts as a protective envelope around the house. Well, you can use the same timber for your roof! Just don’t forget to treat the wood and finish it with stains, oils or paints so it lasts longer. 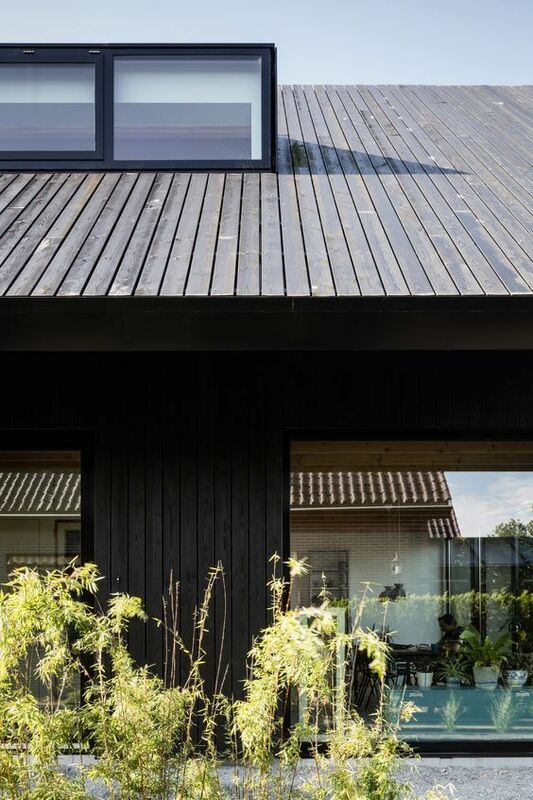 Timber-clad roofing is seen in most modern and contemporary homes. It’s a green construction material as it contributes to fewer greenhouse gas emissions. 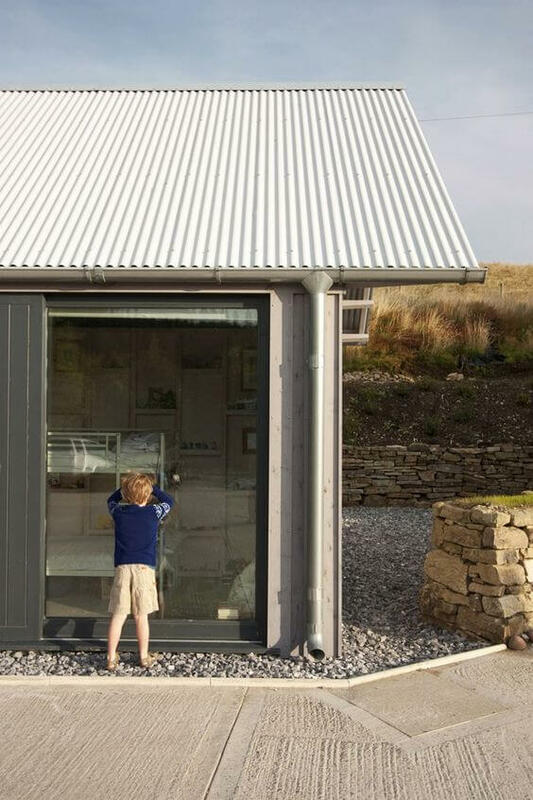 Some modern and contemporary homes have a flat roof that needs some saving. This type of roof has a membrane layer (made of tar, asphalt, bitumen, or plastic seal) that’s used to weatherproof the structure. Pouring a layer of pebbles or small rocks above it will protect the membrane from cracking and peeling. The rocks provide additional thermal protection to your roof. It will also filter rainwater to avoid debris clogging the drains. 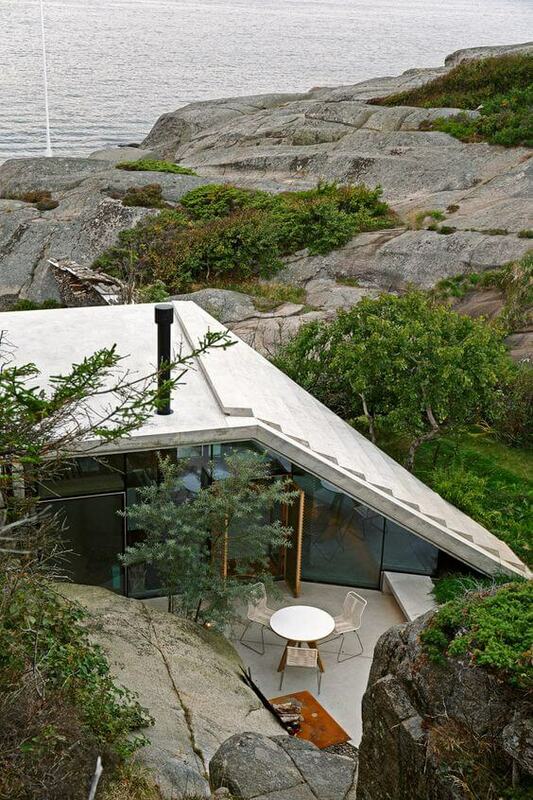 This type of roof will allow tons of your space and will give you a good view of your surroundings. A little warning for Aussie homeowners who want this done in their homes. Glass roof produces a lot of glare and it’s not always great for your neighbours and passersby. 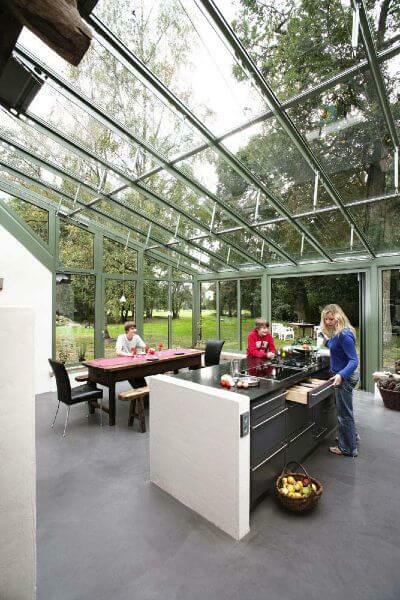 If the glass you use isn’t double or triple glazed, your home will easily become hot as a greenhouse. 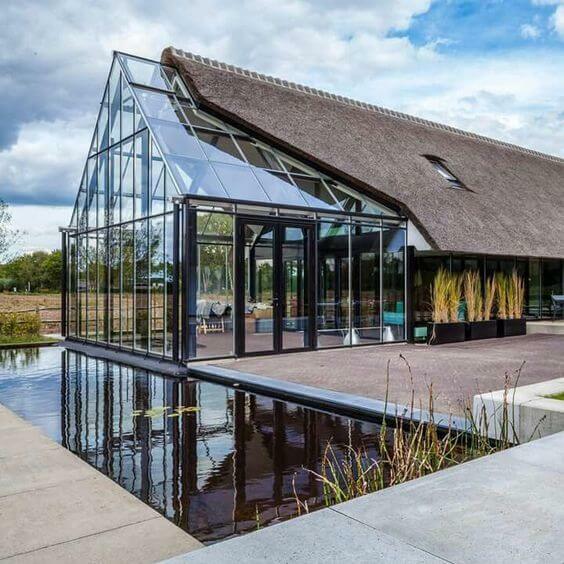 Most importantly, glass structures will need stronger structural support. Thatching is an old way of roofing practised in Asia, Africa, and some parts of Europe. People cover their roofs with dry straw, rushes, and reeds (or other dried local vegetation) to double the protection of their houses. 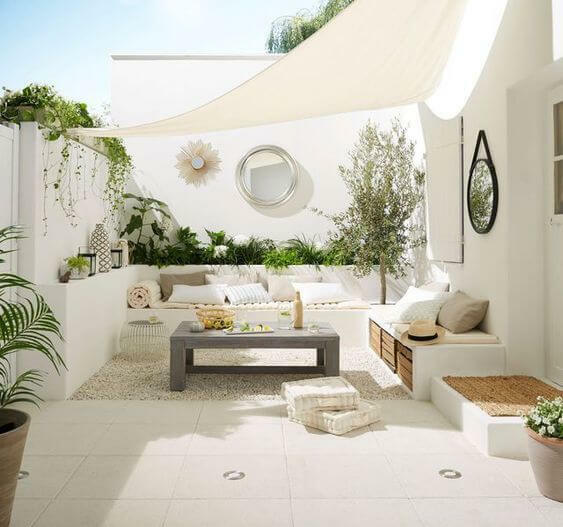 Here in Australia, we usually thatch the roof of our outdoor space structures such as pergolas. Having this roof on top of your main home will give it a unique, tropical, and contemporary exterior. 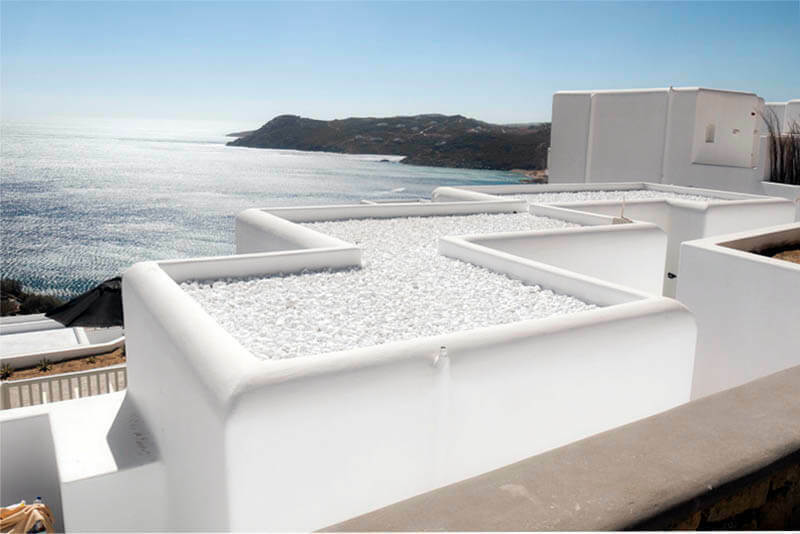 Polyester is a lightweight, flexible, and easily maintained roof for outdoor structures such as pergolas and gazebos. These fabric roofs are held in shape using tension and can be used to make roofs with interesting shapes. New polyester and PTFE roofing have insulation properties already. This allows light to enter while maintaining a comfortable temperature and noise level inside the structure. Solar shingles mimic regular shingles, but with built-in solar photovoltaic panels for converting the sun’s energy to electricity, you can use. Each piece is designed to fit in with regular roof shingles, so you can enjoy a seamless green roof design. No bulkier solar panels on sight! Tesla’s new rooftop solar panels don’t look like solar panels. Contact a Perth building designer for house plans that suit you. Editor’s note: Superdraft doesn’t own most of these photos. These are collated for inspirational use only.